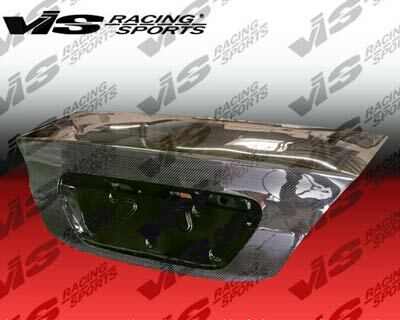 VIS RACING SPORTS Carbon Fiber Body Parts (Hood, Trunks, Lids, Cannards, Lips, Diffuser, etc) are made from HIGH QUALITY Carbon Fiber and go through a perfected process in which VIS RACING SPORTS pioneered in the manufacturing process of body kits and carbon body parts. Made out of 100% Real Carbon Fiber. Direct Fit to replace OEM parts. MINOR (IF ANY) modifications required for fitment of aftermarket replacement carbon fiber parts. Suggested for off road / race use only.